BRIGHTON, Ontario – When the decision was made to launch the HGO Merchandiser, one of the intentions was to provide Canadian furniture, mattress and major retailers with a platform where ideas they could use to build their businesses could be found. In our Winter 2016 edition, I’m confident there are a number of few things to chew over. Our Spotlight this time out is on Phoenix AMD International which is celebrating its 25th anniversary in 2016. From company founder and president Albert Marrache’s point of view, retailers are still focused on attracting new customers and growing top line sales, when they should be more focused on building long-term relationships with the customers who are already in their store and growing their profit instead. He argues it’s very expensive to get a new customer through the door and is more cost efficient to sell more to a customer who has already demonstrated a willingness to buy from you. In many ways, his thoughts are contrary to other industry leaders and influences but these ideas are worth listening to – one never knows what one might learn. Albert and his partner Dawn Rowe are also fanatics about training and believe it’s something that must be ongoing and organised to be truly effective. Albert also believes it’s the training programs they have developed at Phoenix AMD are the key to their success. For a change of pace, this issue we welcome Jane Lockhart to the masthead. Jane is a well-known interior designer, author and television personality who made her mark headlining Colour Confidential for HGTV. In her first essay for the Merchandiser, Jane offers insights in why independent retailers should seek out and build relationships with their local interior designers. Historically, many retailers have seen interior designers as either competitors or a nuisance. But the world has changed. As consumer awareness of design has increased, thanks to media outlets such as HGTV, she has become more willing to hire a designer to help create her living space. Lockhart’s points out today’s interior designers are professionals. They have profession-level education and are looking to partner with other local businesses – including furniture, mattress and major appliance retailers – as part of their goal to serve the customer profitably and well. This issue also sees the introduction of two other departments that will hopefully become at semi-regular features in the magazine. First up is Highlights, which is basically a photo essay sampling the new product introductions from the 80 or so Canadian furniture makers and industry resources took part in this past October’s semi-annual High Point Market. Next up is People, where we’ll do a little one-on-one with interesting people across the industry. We start with Dennis Novosel, who apparently is retiring – or, at least, slowly disengaging himself from Stoney Creek Furniture, the destination store he founded almost 50 years as well as his other interests. BrandSource Canada has launched a new gallery program for major appliances. The first of these ‘stores within the store’ was unveiled a few weeks ago at Stubbe’s BrandSource Home Furnishings in Tillsonburg, Ontario. We take a look. Finally, our resident retail guru Donald Cooper examines the all-too-critical issue of succession planning. 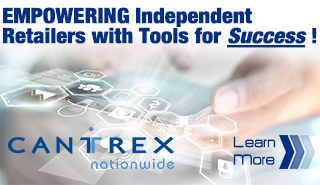 Getting out alive is very important to most independent retailers. Donald gives some excellent suggestions on how to do precisely that. Furniture store sales have been on the rise over the last couple of years, but it’s been a tough go getting there. Hopefully, Albert, Jane, Dennis, Donald and the folks at BSC have given you something to think about. 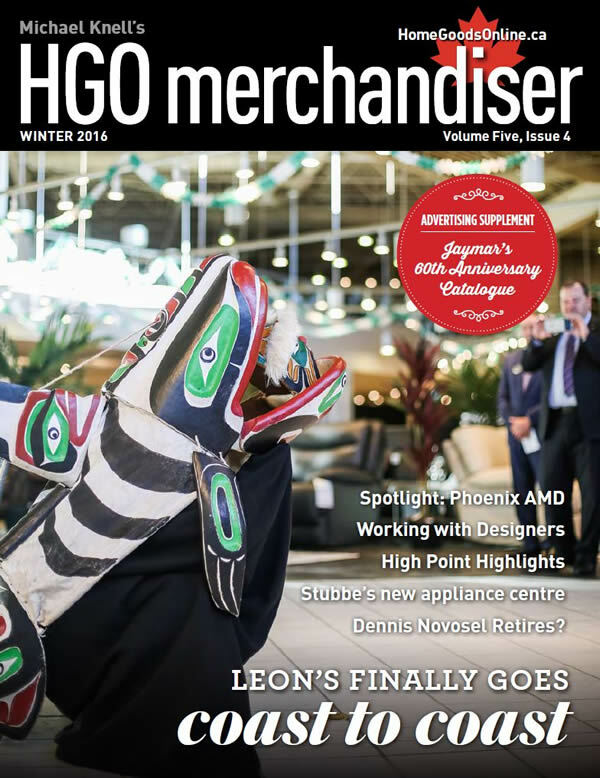 Click here to download your copy of the Winter 2016 edition of the HGO Merchandiser.